Born in Dortmund, Germany. After studying art in Munich and Karlsruhe, he settled in Paris, 1905-11, where he taught himself sculpture, then returned to Germany as a sculptor of medals, busts and monuments. 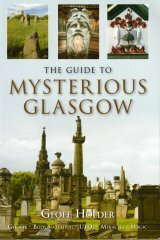 Amongst the latter are several gravestones and public monuments featuring bronze figures. These include the Freedom Monument, Mainz (dest. 1940s) and the Victims of War Monument, Frankfurt, which was removed by the Nazis and restored after World War II. His work also includes medals of King Edward VII (c. 1902), Gustav Mahler (1911) and Carl Flesch (1944), the bronze Jesus Christ�s Head with the Crown of Thorns for the Feuerbaum Family Monument in the Protestant Church of St Mary, Dortmund (1905), as well as a Hanukah Lamp (1927), the lamps for Westminster Abbey, and busts of Winston Churchill, Walter Rathenau, and Keynes for Kings College, Cambridge (1949). He also produced the Candlesticks and Abbot Anscar Vonier Memorial Plaque, for Buckfast Abbey, and an elaborate Menorah for presentation to Israel�s Knesset, commissioned by the British parliament in celebration of the state�s 8th Independence Day (1956). In 1933, Elkan joined the exodus of Jewish artists from Nazi Germany and settled in Oxford and London, during which time he received two interesting commissions for works in lead of animal subjects: Jungle Family, a female Orang Utan with her baby, his only recorded work for Glasgow, which was commissioned by the London lead casters, Stovers & Saunders Ltd, as their exhibit in the grounds of the 1938 Empire Exhibition at Bellahouston Park, and the Jungle Book Relief Panel, on the south wall of the Rudyard Kipling Building, (former) Imperial Services College, Windsor (1939). Jungle Family was intended by Glasgow Corporation to be a permanent attraction in Bellahhouston Park but, in December 1939, Stovers & Saunders informed the city that they wished to exhibit the group in Edinburgh, where it now resides in Edinburgh Zoo. A number of superb photographs of the group in Bellahouston Park are available on the Virtual Mitchell website: www.mitchelllibrary.org.uk: VM C1041, C1991, C1925. A photograph of the Jungle Book relief is on the thamesweb Imperial College page (windsorhistory/isc.html). Elkan�s work is well represented in collections around the world. After his death, in London, his ashes were scattered in Israel, and his biography published by Fritz Hofmann: Benno Elkan: Ein j�discher K�nstler aus Dortmund, in 1997.